Our co-written middle grade novel, Every Shiny Thing, came out six months ago, and since its release, we’ve gotten lots of questions about why and how we wrote together. We wondered how other writing duos would answer these questions and how their co-writing processes are similar to and different from our own. So we connected with four other co-author pairs who had some fascinating things to say. Read on to find out all the wisdom they shared for writers wanting to collaborate and teachers assigning co-writing projects. And don’t miss the details at the end about a special eight-book giveaway! The most common question any writer gets is, “Where do you get your ideas?” That question becomes more complicated for co-written books because there’s the added question of who got the idea. Some co-authors hit upon their idea together when they find a shared interest. That’s what happened for Brad McLelland and Louis Sylvester, authors of the Legends of the Lost Causes series. Brad and Louis were in grad school together and discovered a shared passion for the Western genre. They became excited about the idea of writing a Wild West adventure for kids—the kind of series they would have wanted to read when they were growing up. Other times, one person has the initial inspiration and approaches the other. That’s how it worked for us with Every Shiny Thing; we were friends and critique partners, and Cordelia wanted to write a story about a girl who has always taken care of her mom and falls into similar caretaking patterns with a new friend. She thought this story would be richer if it included each friend’s point of view and asked Laurie to take on the friend’s perspective. No matter where—or who—the initial idea comes from, co-authors then need to figure out how they will write together. The logistics to consider include whether they will each take one character’s point of view or work jointly on the whole narrative and how much planning they will do. Most of us opted to craft a dual-perspective book with each person writing one character’s perspective. That was the case for us with Every Shiny Thing, and it was also true for Kris and Jen, Saadia and Laura, and Olugbemisola Rhuday-Perkovich and Audrey Vernick, who collaborated on Two Naomis and Naomis Too, novels about two girls named Naomi whose divorced parents get together. For Every Shiny Thing, we did some loose plotting but then largely improvised, writing chapters back and forth in Google Docs until we were more than halfway through the book, when we met up to outline the rest. Like us, Olugbemisola and Audrey didn’t create detailed outlines before they began. They alternated writing chapters and sometimes gave each other what Olugbemisola described as an “advance preview of what would lie ahead.” Then they got on the phone or Skype to tackle problems that arose—usually with the book’s timeline, they said. However, Kris and Jen and Saadia and Laura planned their projects much more precisely. Jen and Kris set up a detailed, chapter-by-chapter outline and adjusted the outline as needed. Saadia and Laura also created an outline, but they didn’t stop there; they then set up a chart to figure out which scenes would be in which character’s voice and a table in Google Docs to track what happens in each chapter and which character is narrating. Brad and Louis took a different approach for their series. Although they do take turns writing chapters, they do not each have an assigned character; they collaborate on one point of view. They set up a working outline, and then they edit each other’s work as they go to ensure their books have one narrative voice throughout. But they also work on Google Docs! This seems to be the most popular forum for co-writing. The biggest challenge when co-writing is fitting the project into an author’s busy schedule. In addition, challenges can arise because of the way the authors’ writing styles or working patterns fit together, but these challenges often lead to benefits, too. Similarly, the first draft of Every Shiny Thing was the quickest thing we ever wrote, and we found that our different writing styles occasionally posed problems but ultimately enriched our work. Cordelia is more of a big picture thinker and Laurie is more detail-oriented. These different approaches can occasionally lead to challenges, but overall we end up stretching each other and learning from each other as we collaborate. Saadia and Laura set some “non-negotiable items” for their point of view characters. They each made it clear upfront that there were certain things about their characters that they would not be willing to change. It’s challenging to structure effective collaborative projects in the classroom, and there are kids who get stressed out by the idea of writing together. But we think co-writing assignments can be very valuable. Jen described one great reason for assigning this kind of work: “As much as I’ve heard the groans over group project assignments, I’m a big fan of co-writing ones because I think it’s really important for students to know there are so many different approaches to writing (and to having a writing/storytelling career, if that’s something of interest to any of them) and the majority of those approaches are not ‘sit alone at a computer and write a novel.’” She pointed out how many careers involve many creative people working together to develop stories. Jen advises that teachers keep co-writing assignments very structured at first. She suggests having students collaborate on a play, which is mostly dialogue; they can outline it together and then each write the dialogue for one specific character. Audrey suggests that teachers should “encourage students to identify and take advantage of each person’s strength”—good advice for any group work. Oh, and she has one other excellent piece of wisdom to share: “And when possible, reward yourselves with freshly baked treats.” That’s good advice for any circumstances, we think! We hope you’ve enjoyed learning about how five writing duos collaborate, and we’re excited to offer an *EIGHT BOOK! * collaboration celebration giveaway! One randomly selected winner will receive a signed copy of our book, Every Shiny Thing, as well as four other co-written books and three solo books by the generous authors who worked with us on this article. To enter, post on Twitter or Instagram about any co-authored book you love and why you love it by Friday, October 26th and tag your post with #CollaborationCelebration so we’ll see your entry. 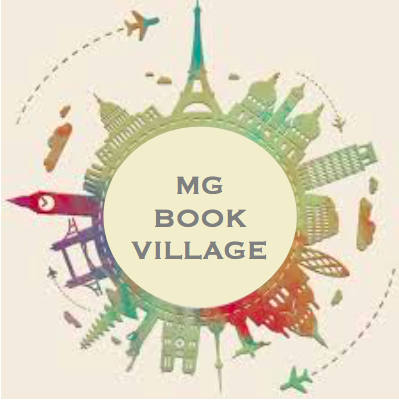 You can choose a book that’s featured in this piece or any other co-authored book, MG or not. US only, multiple entries are fine. Tweet or DM @LaurieLMorrison with questions. So glad to be introduced to so many good books! The collaborative process is so fascinating. Having a common interest is so important.